B.S., Environmental Science, Peking University, Beijing, China, 2008. M.S., Energy, Environmental, and Chemical Engineering, Washington University in St. Louis, St. Louis, MO, USA, 2011. Ph.D., Energy, Environmental, and Chemical Engineering, Washington University in St. Louis, St. Louis, MO, USA, 2012. Wang Y., Wu J., Wang Z., Terenyi A., Giammar D.E. Kinetics of lead(IV) oxide (PbO2) reductive dissolution: Role of lead(II) adsorption and surface speciation. Journal of Colloid and Interface Science, 2013, 389, 236-243. Giammar D.E., Cerrato J.M., Metha V., Wang Z., Wang Y., Pepping T.J., Ulrich K., Lezama- Pacheco J.S., Bargar J.R. Effect of diffusive transport limitations on UO2 dissolution. Water Research, 2012, 46, 6023-6032. Wang Y., Jing H., Mehta V., Welter G.J., Giammar D.E. Impact of galvanic corrosion on lead release from aged lead service lines. Water Research, 2012, 46, 5049-5060. Wang Y., Wu J., Giammar D.E. Kinetics of the reductive dissolution of lead(IV) oxide by iodide. Environmental Science & Technology, 2012, 46, 5859-5866. Wang Y., Xie Y., Li W., Wang Z., Giammar D.E. Formation of lead(IV) oxides from lead(II) compounds. Environmental Science & Technology, 2010, 44, 8950-8956. Xie Y., Wang Y., Giammar D.E. Impact of chlorine disinfectants on dissolution of the lead corrosion product PbO2. Environmental Science & Technology, 2010, 44, 7082-7088. Wu B., Wang Y., Lee YH., Horst A., Wang Z., Chen DR., Sureshkumar R., Tang Y.J. Comparative eco-toxicities of nano-ZnO particles under aquatic and aerosol exposure modes. Environmental Science & Technology, 2010, 44, 1484-1489. 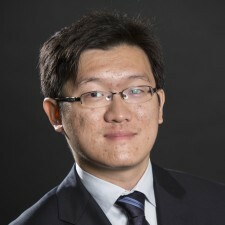 Xie Y., Wang Y., Singhal V., Giammar D.E. Effects of pH and carbonate concentration on dissolution rates of the lead corrosion product PbO2. Environmental Science & Technology, 2010, 44, 1093-1099.